Today I introduce you to a very special character, in which I see Federico Turriziani a few years ago, a mix of ideas, sacrifices and foolishness hard to find! Jouko is a Dutch guy, very young but with his great passion and his strong will has created a new way of training, which is achieving so much success and arousing curiosity in Florida and not only! 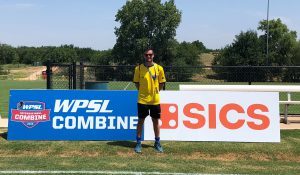 We know each other since quite short, but soccer is made of sensations, intuitions, emotions … Well, in Oklahoma, where we met at the WPSL Combine 2018, I immediately realized that the guy had creativity, determination and that he believed in what he was doing! 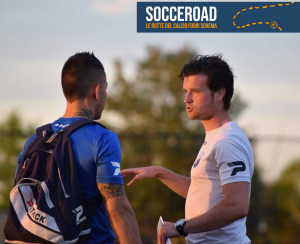 Intrigued by what I’ve seen on the field, we started to compare our methods and to talk about our stories, and that went on a few months later in Chicago, at the United Soccer Coaches Convention (which I will discuss in depth in a few days). I let you meet him: these are his words!!! How was your approach with soccer? When you decided and why ti open this kind of soccer school? “During my youth career I played on different levels, until I got heavily injured. After that injury I noticed that I couldn’t play anymore in the same style as I did before. My legs were not moving as fast, my conditioning was not that good anymore and I got more injuries every single time. So I started to focus on my study and on development of players. I wanted to bring the players where I could have been with the right guidance and the right coaches. I started my academy years ago already in the Netherlands, but because of study, work and other opportunities I got, I was not able to move forward with it until 1 year ago. 1 year ago I moved on with it in South West Florida and that is where I am right now”. Explain what your doing, your methodology and your goals. “At my Academy we train players 1 on 1, but also in small groups. During these sessions we focus 1 hour on footwork. Everything is based on the Coerver method. I specialized myself in the Coerver Method because in my opinion that is when real soccer is played. For the people that do not know the Coerver Method, The Coerver method is a technique training invented by Wiel Coerver. Under this technique, players progress in a structured manner, pyramidal, from basics of ball mastery to a tactically driven group attack. They would be exposed to the other essentials like Receiving and Passing, Moves (1v1), Speed and Lethal Finishing. We modified all these training sessions to make it more game real, use different size balls, even tennis balls and create players that ‘Play with their heart, but talk with their feet.’ We do not create robots, we create soccer players. Every training we do is based on the position of the player. I do not care if a defender shoots 300 times on the goal, that will never happen in the game. We work on that fast control, cross pass, dribbling into midfield, but also where to move at what time. Everything a defender needs”. “The first time we met was at the WPSL combine in Oklahoma. 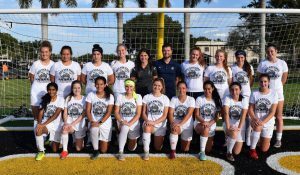 We were both invited to do sessions and to explain the players at the WPSL combine to talk a little bit how to succeed as a professional athlete and what you have to do. After that we saw each other again in Chicago at the United Soccer Coaches convention. 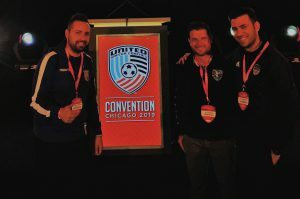 At this convention we spoke a lot about the different trainings styles the coaches used over there, but also about the opportunities for players all over the world and the development of soccer. If you see how many players the United States has at this moment, but they can not get a full team of super talented players, there is something wrong. And that was visible at the United Soccer Coaches Convention. All the changes that were made in Europe, years ago, they are trying to do right now in US Soccer”. Whats are your goals for the future, your dream? “My goal is to make my academy a brand in the world. Where talented soccer players come to train and where motivated players get the chance to develop themselves and move to Europe or a big club in the USA. 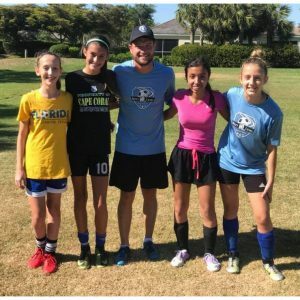 I am a technique coach that does the job with love for the game. And that is what I try to teach my players. If you do not want to play, please stop and find another sport. If you practice an hour because you have to get better you will not make it. You have to practice an hour because you like it and you want to get better. If I can get 1 player in the American National team for man or women that would be amazing. That is what my coaches and I work for and what our goal is. After that we will set another goal. We’ll hear about Jouko… As far as I know, I’ll see him soon in Florida ti visit the his Academy: Next Level Soccer Academy! invitation is already there and T-Shirt and Bermudas are already washed and pressed, ready for a new experience!”.